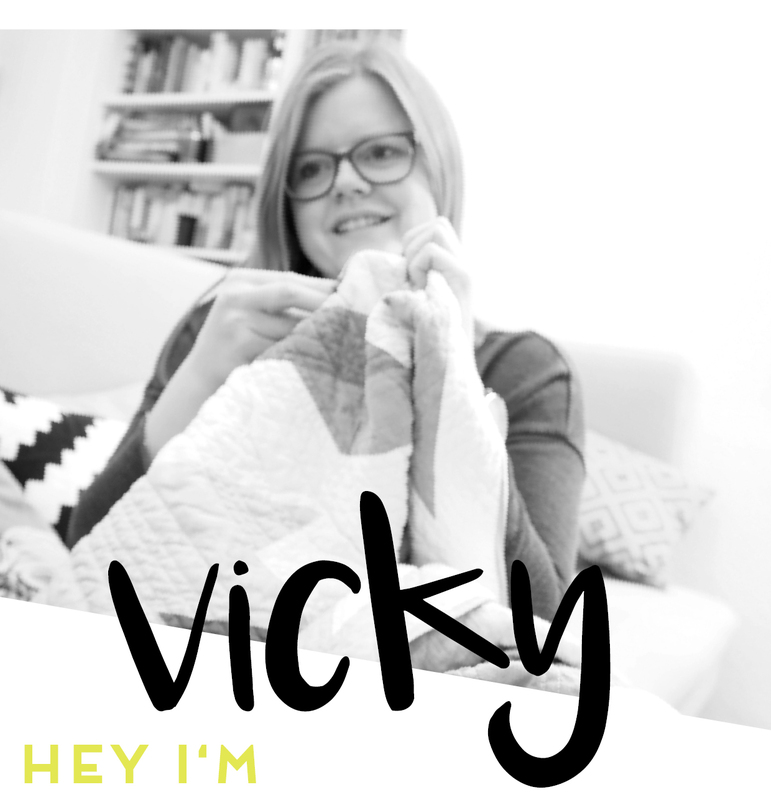 This is me catching up with the projects I finished during my recent blog hiatus – hey! Our friends seem to keep on having babies, so I’m staying busy sewing up a baby quilt every couple of months. I don’t mean to complain, making something beautiful with a new person in mind is a pretty fulfilling pastime. And I love the size of baby quilts – they are such a quick finish and I can try out designs that I don’t dare to take to the bed-sized format quite yet. I made the Hebe quilt in February for my boyfriend’s cousin’s baby (are you still with me?) born at the end of last year. Fashionably late, but it was still much appreciated as the baby was about to get a little more mobile around that time, so the quilt could be used as a play mat. I went pretty much all out with colour on this one. I had the idea of making a rainbow quilt with a minimal/modern feel to it. So I really cut down on the layout – consisting of 16 squares cut from 16 individual fabrics each missing a corner that was replaced by the mustard background fabric. Not to waste any fabric I included an assembled strip of the ‘missing’ corners into the border of the quilt. Just like I like my quilts, the finished thing turned out extra texture-y thanks to a rather dense crosshatch quilting. When it came out of the wash really crinkly I might have squealed a little. As I was out and about photographing the quilt with my quilt-photographer in crime, we passed this elderly couple stopping in front of a statue at our local park. He mentioned to her, that the woman pictured was the goddess Hebe, daughter of Zeus and Hera. As they walked on we threw the quilt over Hebe’s arm and a namesake was born. Do you have a story about naming a quilt? Please share, I would love to hear about it! I really love the colors, design and that quilting…gorgeous! The photo with the statue holding the quilt is hilarious and amazing! ​Jayne, thank you so much! This was my first time using so much negative space, and it made me fully grasp the impact of the quilting. Love your model. Quilt gorgeous. I absolutely LOVE this quilt! Such a bold choice to use gold as your background color. I love the unusual color combos… they really pop! I’m sure your friend will be over the moon excited about this sweet baby quilt. ​Thank you so much Allison, means so much coming from the queen of colour (yes you are!). I love my baby quilts contrast-y and bold to give the baby something bright to look at. This is fantastic! I am crushing hard on that mustard background, It really makes the colors and prints you used stand out. Also, great work with the quilting. It adds yummy texture to all that negative space without taking away from those gorgeous pops of color! Beautiful! I don’t usually like mustard yellow but it works so well here. I love the clipped corners that reappear over on the side — so neat. I thought you had named it after the plant! Didn’t realise she was a goddess too. Love the colours and the addition of those scrappy corners! A real no waste quilt. Thank you for linking up to #scraptastictuesday! Lovely design! And your quilt naming story is just great. I am always struggeling with quilt names. The resulting pictures are really great as well! Hebe (the quilt) is beautiful. That gold background is striking, especially with the large, bold squares with the corners touched by gold. You didn’t say what size the quilt is and I’m wondering. Also, what size are the large squares in the center? And what batting did you use? I love the texture. What a treasure for a baby and his/her parents! Beautiful colors, love the whole design. Especially love the mustard color for the background! Kathee, thank you for your lovely words. I’m kinda happy about my background choice, too. So beautiful. Love the design. Love your quilt, the fabric choices are so different, and work so well! Great quilting as well, and the little triangles really add to it. Great finish!!! I love your quilt ! Really beautiful colours, design and quilting. Sophie, thank you so much for your lovely comment. Das könnte mein neues Lieblingsstück sein. So ein toller Quilt. Herzlichen Glückwunsch zu dem Finish und ich hoffe die Empfänger werden sich gebührend freuen. This is a great quilt! Love your original design, especially the back and the little triangles from your left over snowball squares. The quilting is awesome!